Look for LED products and fixtures for outdoor use, such as pathway, step and porch lights. Many include features like automatic daylight shut-off and motion sensors. 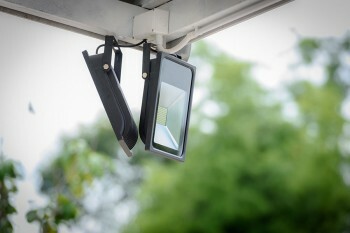 You can also find solar-powered lighting for outdoor spaces.